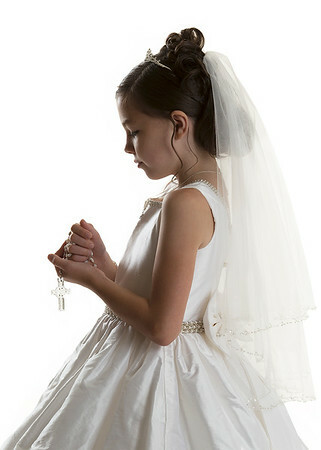 Each portrait session at Countryside Studios is specialized to the individual communion recipient. Including contemporary and traditional posing. We will walk you through your choices in our pre-session consultations. We will look at choices of backgrounds discuss clothing. If you have a special rosary, prayer book, or any other jewelry or keepsake, please bring it along. Plan around your child’s schedule. Help them to have a snack beforehand if they are just getting out of school. The photography session usually only takes around a hour. If they are nervous, let them know what to expect and how long it will probably take. Click here to contact with any questions. The session fee covers pre-photography consultations and the photographer’s time during session. Each session is usually 1 hour.